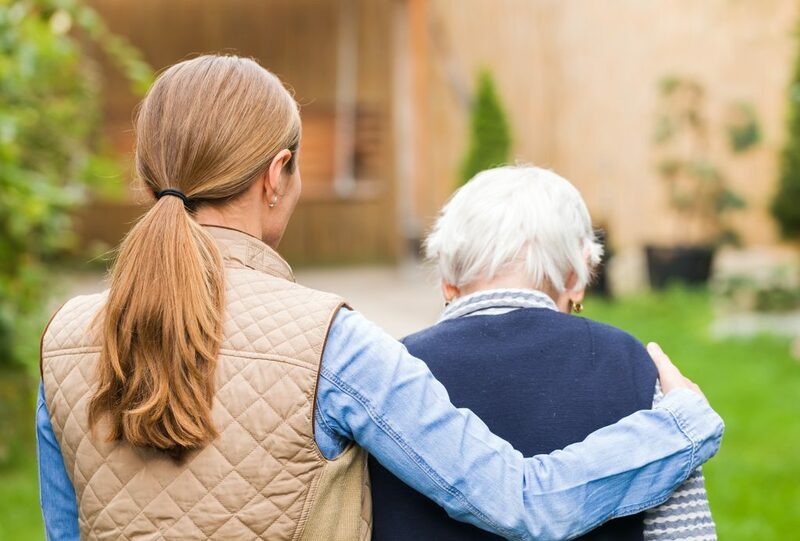 ST. GEORGE — Holding hands, listening to stories and comforting loved ones are a few of the many ways that an end of life doula can provide support near the end of a person’s life. A doula is a paid companion who offers non-medical support and assistance to their clients. Birth doulas are the most common kind of doula — they help women during pregnancy, birth and sometimes postpartum. An end of life doula performs many of the same tasks as a birth doula, helping their client with light housekeeping, preparing meals, offering support for their decisions and acting as a companion. They also help make calls, greet visitors, provide education and resources and do anything else that may help relieve some of the client’s stress and responsibilities. Many of them are also trained to help clients create legacy projects and help with any rituals, religious or otherwise, that a client may want prior to their death. These are a few of the skills that Raiya Iverson, owner of Earthside Holistic, a business offering doula services and training, teaches her end of life doula students. “Having some constant support that you can rely on … Helping make those hard phone calls, greeting visitors, those kinds of things that really do lighten the load for the family members and I think also lightens the responsibility that might be put on the client themselves,” Iverson said. Much of a doula’s job involves caring for the family of a client, listening to their stories and offering emotional support, especially if the client is unresponsive or needs a great deal of rest. Doulas may even continue to support the family after the passing of the client, comforting them while they grieve and helping with funeral arrangements. Iverson opened Earthside Holistic earlier this year and has recently begun teaching end of life doula classes in Salt Lake City and St. George. She has provided end of life care since 2005, working as both a CNA and in home care. She has specifically worked as an end of life doula for two years. Iverson designed the eight-week course to prepare students to start their own end of life doula business. In the class, students learn communication skills, active listening, legal jargon found in wills and trusts, the difference between “Do Not Resuscitate” and “Do Not Intubate,” the stages of grief, signs that someone is about to pass, identifying elderly abuse, cultural awareness, funerals, legacy projects, how to build a business and how to handle challenging situations they might find themselves in. In addition, students have to complete an online bloodborne pathogen course, obtain a food handler’s permit, agree to a code of ethics and volunteer at least 80 hours after they’ve completed the course. Phillips took Iverson’s class in St. George in August and plans to move forward with her own end of life doula business after she finishes her volunteer hours that she is completing at local hospice. Phillips first became interested in end of life care after being with her grandfather in his final moments and realizing how comfortable she was with death compared to others that she observed. It takes a certain kind of person to work as an end of life doula, Iverson said. Before students sign up for her class, she asks them to honestly answer a few questions for themselves and decide whether or not it is something that they feel they can do, including whether or not they have a natural ability to interact with elderly and the ill, how well they deal with stress and loss, if they’re okay with being around bodies and if they are willing to be available at any time for a client. But even for those with natural tendencies, caring for others can take its emotional toll. In her class, Iverson teaches her students about self-care and compassion fatigue, or the physical and emotional exhaustion and withdrawal that sometimes affects those who spend a great deal of time providing care for others. In addition to end of life doula courses, Earthside Holistic offers compassion fatigue workshops to help caregivers care for themselves. Of Grave Concern: How do we reconcile holiday traditions with the grieving process?